Creating my first cookbook was one of the most challenging and rewarding projects I&apos;ve ever worked on. After a year of developing, testing and capturing the recipes, my cookbook has just been released. You&apos;ll find over 150 low-carb, keto & paleo/ primal recipes. Over 80% of the recipes are unique and exclusive to the KetoDiet Cookbook and I&apos;ve also included some of my favourites from the KetoDiet Apps. Firstly, I&apos;d like to thank everyone who has ordered my cookbook. Thanks to your amazing support, it&apos;s now one of the top hits in low-carb, paleo and diabetic cookbooks. Special thanks to Franziska Spritzler of Low Carb Dietitian for the fantastic review of my cookbook on her blog! For all of you that have bought my cookbook, I have created some free bonus content you can download now. 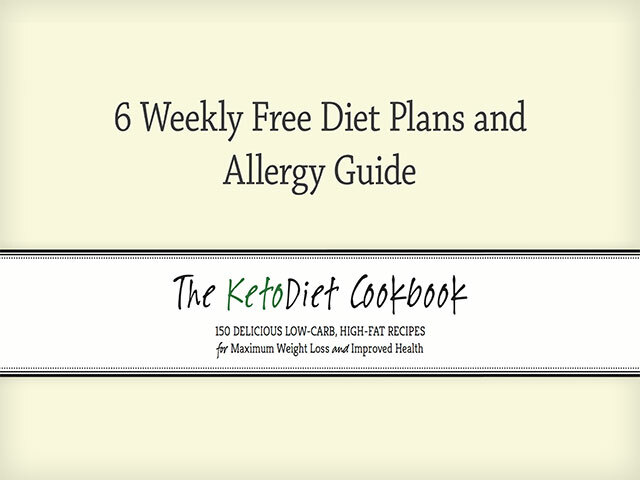 It includes 6 weekly diet plans based on the cookbook recipes as well as a complete allergy table. Hi Yevgeny, my publisher is based in the US so there is a small delay in the publishing date in non-US countries. Hope you like it! Thanks so much!! I haven't received the cookbook yet (still waiting) but the diet plans look amazing! Can't wait for the recipes!